Alongside all the hip and trendy city bars across the state of Mississippi, you’ll find the comfortable, no-frills neighborhood bar. 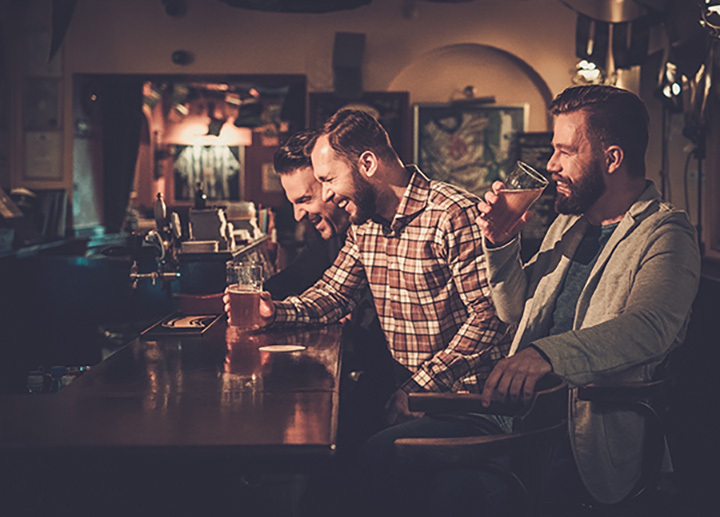 Neighborhood bars are still an important part of the state’s nightlife, offering folks a chance to connect with old friends or make new ones while enjoying a refreshing beer or cocktail. Grab a barstool and belly up to these 10 best neighborhood bars in Mississippi. Nothing knows how to bring people together like beer. If you’re ready to share a cold one with your best friends, you’ll have plenty to choose from at the Beer House. Over 45 draft beers await your taste buds, and their friendly bartenders can help you choose the best ones. You’ll come for the selection, but you’ll stay for the homey, down to earth environment. Part restaurant, part bar service, part live music, this place is all you could ever want from a neighborhood watering hole. Their better-than-bar food pairs well with draft or specialty beer selections as you unwind with the sounds of live music filling the air. Touted as Tupelo’s back porch, you’ll feel right at home when you take a seat here. Live mermaid shows and the iconic dive bar atmosphere pair better together than you might think. This cozy, full-service bar always has something fun going on. Fans love the everyone’s-a-regular mentality because they get exceptional service while they have a great time. Every hour is a happy one at this bluesy neighborhood bar and music venue. Live music creates an enjoyable atmosphere that attract fans of all walks of life to enjoy a few libations with friends. This place has been serving up the best in cuisine, cocktails, and chords for over 62 years, making it an iconic staple in Jackson’s neighborhood. Their outdoor patio atmosphere makes Sipps a premiere destination for libations any day of the week. Inside is just as poppin’, offering a clean atmosphere complete with pool tables, weekly games, special events, music, and more. With over 40 beers to choose from, they make it easy to have a good night on the town. This isn’t your typical office, but once you visit you’ll wish it could be! This “office” is a well-known meet-up spot for folks looking to chillax after work. They provide all the drinks you could want as you unwind in non-stressful environs. This is one of Biloxi’s best kept secrets in the nightlife industry. You’ll want to experience their full suite of savory food options that will change the way you think about bar food. This bar has been around a while, and customers love keeping with tradition in a place that rarely changes. It’s everything a neighborhood bar should strive to be. Their customers agree there’s no other local bar quite like this one. Walk in and you’ll feel like family in a warm, inviting atmosphere you’ll want to visit again and again. Karaoke, happy hour, pool tables, dart board, and live music are reason enough to stop in, but you’ll love the service just as much. Unless you’re looking for it, you might just miss it. This humble little neighborhood bar is serving up the coldest beer in town. It’s a quirky place, to say the least, and you’ve never experienced anything like it. Bar stools have taken the form of toilets (but don’t use them! ), lights remain dim, and drinks are restricted to beer and water only, but this bar has generated a loyal local following that wouldn’t have it any other way. Hot burger and cold beer take center stage at McB’s. Locals can’t get enough of this place because of its old-fashioned atmosphere and service. If you’re not much into the drinking scene, you’ll still want to pay them a visit—they’ve got the best lunch in town.